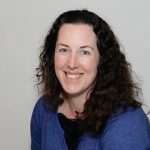 If you are looking for someone to assist you in working towards better function and comfort, then Amy would love to partner with you in doing just that using holistic manual therapy. Amy works with your whole person to optimize your functioning and well-being. She considers all structures and connections in the body, working towards all moving in health. Her perspective includes bones and joints (including those of the skull), muscles, fascia, meninges (the tissues lining the spinal cord and cranium), organs and their attachments, nerves, blood and lymph vessels, and the inter-relationship among all these. Amy began her career in healthcare as a kinesiologist in 2000. She came to love hands-on therapeutic approaches while becoming a Fascial Stretch Therapist. Amy subsequently completed a 2200 hour massage therapy diploma, three years of a five-year Osteopathic Manual Therapy program, and many other continuing education courses. Most recently, while continuing her osteopathic studies, she has begun studying Primary Deep Tendon Reflex Technique (P-DTR), an approach that clears sensory irritation patterns. Amy is dedicated to making a positive contribution to your wellness by using all of her many skills, and welcomes all inquiries.